This class is a follow-up to the Walking Foot Part 1 Class. Students loved the different techniques they learned and practiced so much that they wanted to continue working on additional designs. If you didn’t attend Part 1, you are still welcome to join us. Each class works on different designs, so you can do Part 2 before Part 1. Most quilters think of their walking foot as a tool to “stitch in the ditch”. Numerous quilting designs are achievable with this great attachment that provides a quilter with a comfortable level of control and success. 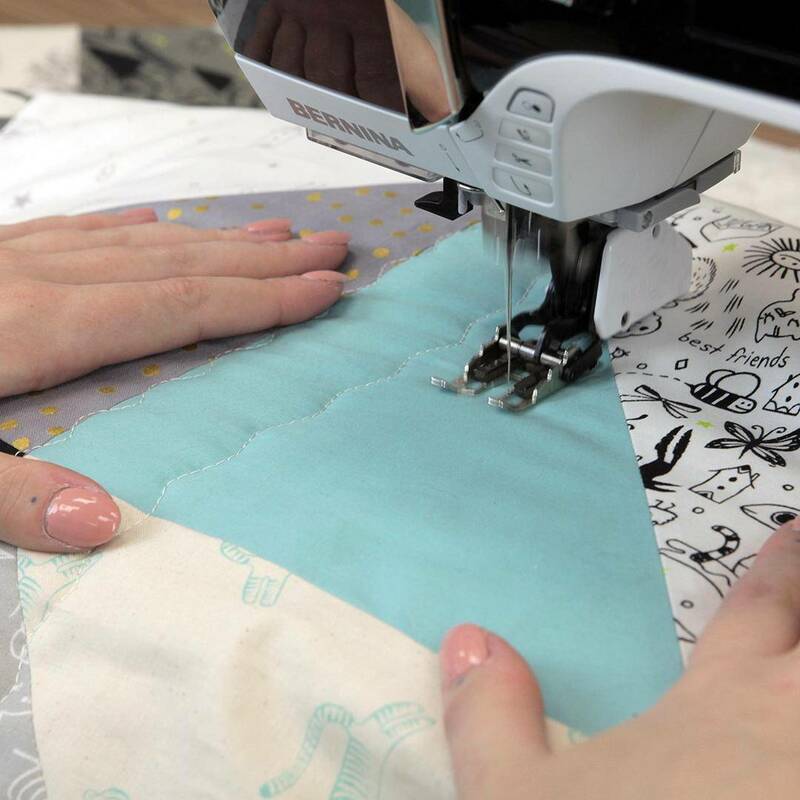 Current quilting designs make use of straight lines, as well as slightly curved lines, to produce grids and patterns that provide interesting texture to your quilts. You will continue to learn how to make the most out of your walking foot while trying out different techniques and patterns.